The series of images on display in the backspace of Project Gallery, are a series of photographs taken by artist and commercial photographer Spencer Robertson during his travels through Southern Africa, Constantinople, The Balkans, The Pacific Northwest, Central America, West Indies, East and Southeast Asia. Spencer describes the creation of this series as a deliberate development of his ability to see holistically in his photographic practice. His work incorporates portraiture, landscape, and still life photography in a cohesive way; highlighting the complimentary and contrasting relationships they share. Spencer’s work portrays a rich personal narrative expressed through photographic captures of diverse environments and cultures. All photographs exhibited are framed giclée prints produced this year 2014: sized 14 3⁄4” x 22”. 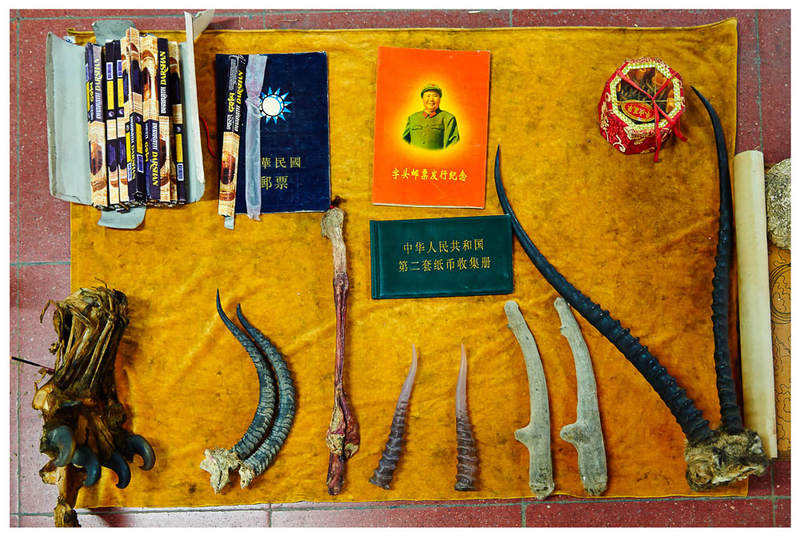 A Collection of items including claws, glands and antlers, displayed for sale in Beijing’s subway. The French colonial architecture is showing its age in this large home at the center of town. A Lantan man prepares the soil while the women transfers the rice seedlings into their submerged plots. The sun sets behind Joffre Peak: after a steep and relatively short snow-shoe of 4.5 hours, we dug into and slept under the snowpack. It is not common to encounter a female poler of the mokoro: a shallow draft dug out canoe. She stealthily steered it through the Delta on our way to camp. While collecting mussels for supper at low tide the intertidal zone’s rich carpet of life is exposed. The Arbutus tree, an uncommon leafy evergreen, is endemic to a small section of the Westcoast; its vibrant red trunk reflected in the still surface of Hague Lake, on Cortes Island in the Salish Sea, along with pine, douglas fir and western red cedar. A view up Southern Europe’s deepest fjord from the 1350 steps leading to St John’s Fortress nestled above the old town. A study of a “quiver” succulent plant: the nomadic Khoi/San tribes cut off section of this plant to store their deadly poisonous arrows. 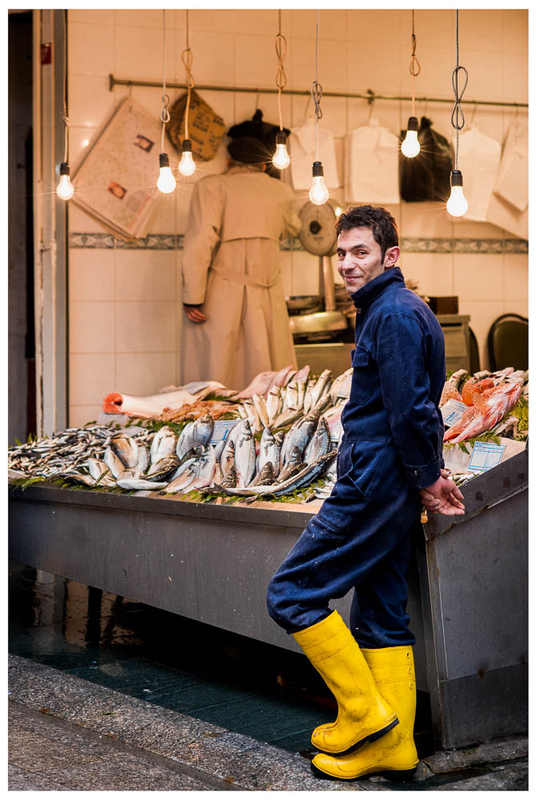 This alley is packed with restaurants that display their freshly caught fish out front, accompanied by mongers who compete for your attention. Jīnshā River, a primary tributary of the upper Yangtze River, runs through Tiger Leaping Gorge; one of the deepest and most spectacular river canyons in the world. 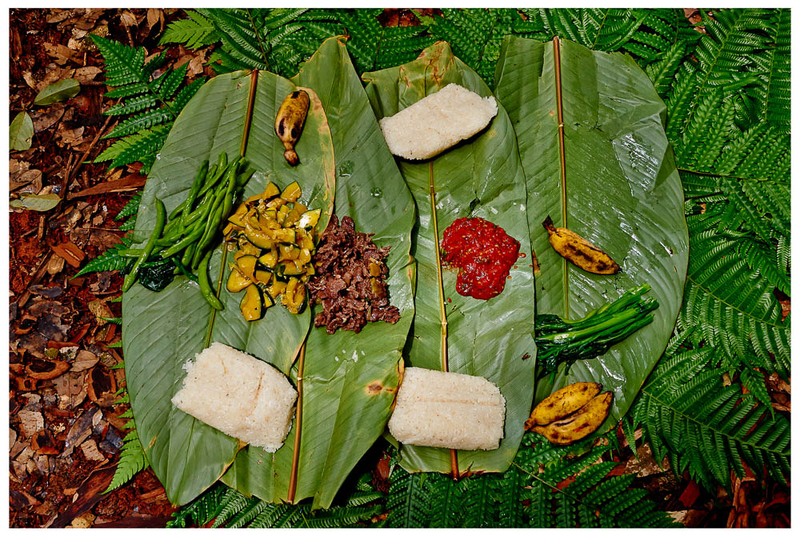 Our guide’s mother packed us lunch for our first day of a multi-day trek into the jungle. The banana leaves which wrapped the food made for an excellent impromptu dining area. As the sun sets on the beach at Malpais, my younger brother Brendan, poses for a portrait. This cyclist must be on his way to something very interesting with the harbour and old town in the background. This girl’s naturally blonde hair stood out in the hilltribe village of the Lantan people, where we spent the night while trekking through the jungles of Northern Laos. An old growth sub-alpine forest late in the afternoon captures here contains douglas fir, mountain hemlock, huckleberries and blueberry bushes, and yellow cedar behind Elsay Lake. The striations show the folds in the rock, telling a story of the seismic activity in the region. After taking my tuk-tuk driver out for breakfast soup, we explored the morning markets of the city. The market is always one of my first stops when exploring a new city. Each frame contains it’s own scene in this storied window, hidden behind the beachfront Hilton. During a particularly wet year, the rains chased us across the desert. The resulting sparse and uncommon vegetation covers the base of the world’s tallest sand dunes. In the alley’s of Dali’s old town, through the bright blue paint, wearing thin and showing the wood, a beautiful patina ages. This fruit vendor’s puffed out cheeks mimic the shape of the rambutans, guava, mystery jungle fruit, mangosteens, dragon fruit and imported Chinese apples. The muskeg’s small trees belie their age with a short growing season. These spruce trees are hundreds of years old.